Wanting something that you just can’t seem to find…. No I am not talking about a new boyfriend or true love…I am talking about custom pieces for different occassions! If you want a hat or a sash or headpiece of some kind and just can’t seem to find one you like (here or anywhere) let me know! I would love to make up something just for you: Be it a black wedding veil or a bright yellow sash, A Bird In The Hair loves a challenge! Use the contact page, email me at info@abirdinthehair.com or give me a call at 044 829 6499. Wedding Hat with Veil-yellow and ivory satin, ivory tulle. 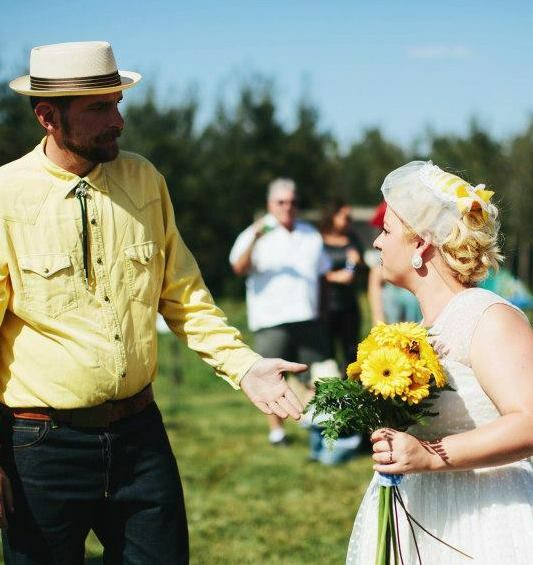 Bride chose mustard and canola as her wedding colors of choice. Beautiful, country wedding! 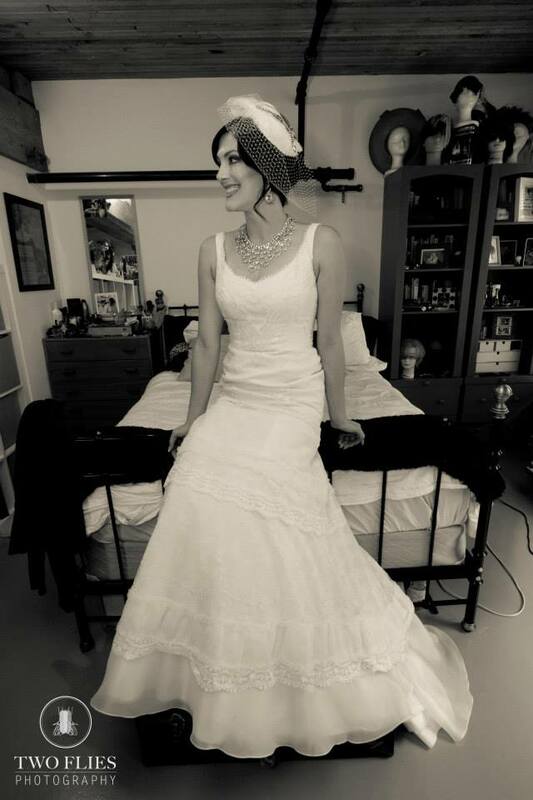 This birdcage veil allows the bride to be seen but adds a hint of tradition. The veil is pulled up for the most important part- the KISS!